As per the new development Jio is landing up doing the job for Airtel’s marketing team. Jio has walked into a situation whereby by questioning Airtel’s claim of being the fastest has ended up proving them (Airtel) only faster! To help you with some history: Jio started by saying that it doesn't support Ookla’s claim of Airtel being the fastest 4G network in India (as per there latest ad camapign). 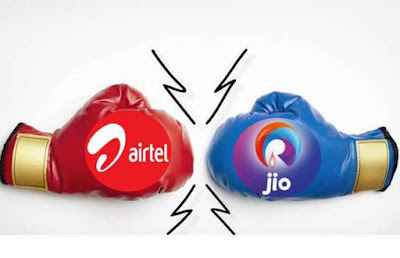 The outcome of this tussle is that Jio filed a complaint with the Advertising Standards Council of India (ASCI). Jio is saying this basis the one argument that states that in DUAL SIM phones results are getting wrongly tagged hence Ookla’s data is inaccurate. They even went ahead and publically stated that they have filed a case against Ookla. Actual Fact: The speed test gets tagged to “calling SIM”. SO the slot number is hardly of any concern. Outcome 2: Since Jio does not have a 2G/3G network, the Jio SIM de-registers itself for this situation, hence Airtel speed test results get attributed to Airtel only. It's important to note, that since it is not possible that Jio can get configured as a voice only SIM (therby disregarding case 2); the corruption of samples can only happen from Jio to Airtel and not the other way round. If you remove Jio results from the Airtel sample – the Airtel average only goes further up. Jio might have been better off letting Airtel claim what they had because this has clearly boomeranged.